EarthSky: Are there geysers on Europa? "We're not disproving it's there. 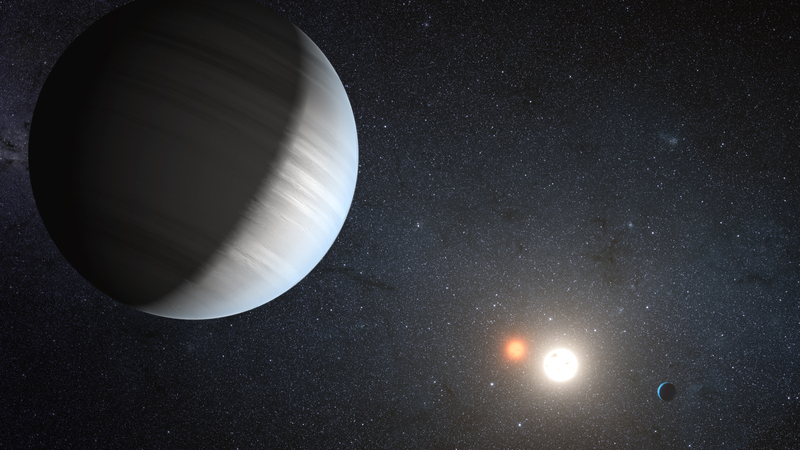 We're not saying it's not a planet," says Jeff Coughlin of the SETI Institute. "We're just saying, with a better understanding, we can't 100 percent say it's a planet anymore." A growing number of planets have been reliably confirmed, and Kepler-452b might yet be verified with data from other sources, such as the Hubble Space Telescope. The paper points out that the "search for extraterrestrial intelligence" usually ends up being a "[search] for other versions of ourselves." One way of cutting through this kind of human-centric bias is through the use of AI. The SETI Institute, in partnership with NASA, Intel, IBM and others, have organized an accelerated research and development program called the Frontier Development Lab, with the aim of applying AI technologies to the challenges of space exploration. 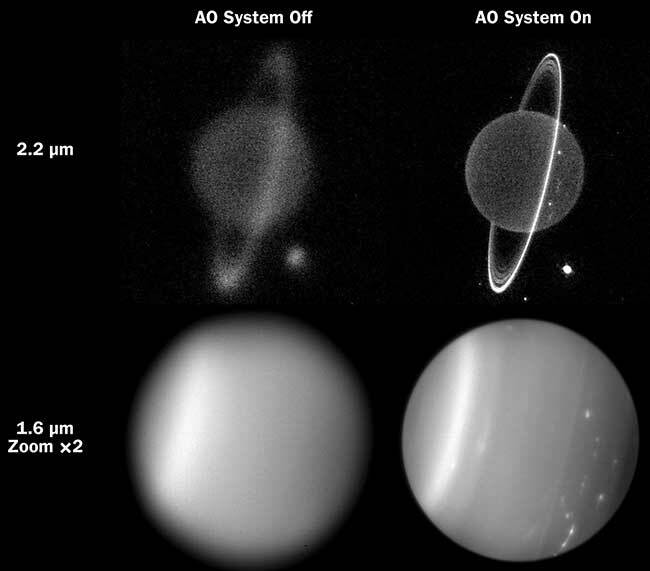 While there is incredible promise in the use of AI in the realm of planetary defense, such as asteroid detection and solar storm modeling, the Conversation notes there may be rich potential in its applications for understanding alien communications. Whatever the future holds, the SETI Institute continues to pursue collaborations that foster an interdisciplinary approach to answering the compelling question: are we alone? You can hear a conversation among several of the participants of the “Decoding Alien Intelligence” conference – which included astronomers, anthropologists, and AI researchers – and other interviews on our Facebook page. Andrew Siemion, Bernard M. Oliver Chair of SETI Research at the SETI Institute, appeared in a video produce by Seeker exploring the work, and challenges, of technosignature detection. Watch to learn how SETI research has developed with new technologies, such as AI, rapidly changing the field, even as the proliferation of everyday technology add to the noise researchers must compensate for. Medium reports that a hypothesis that we might be able to “eavesdrop” on advanced alien civilizations communicating between planets may get an assist from IBM. Using the Allen Telescope Array to detect radio transmissions, the IBM Data Science Experience would allow signal analysis to determine if the signals are a form of communication. 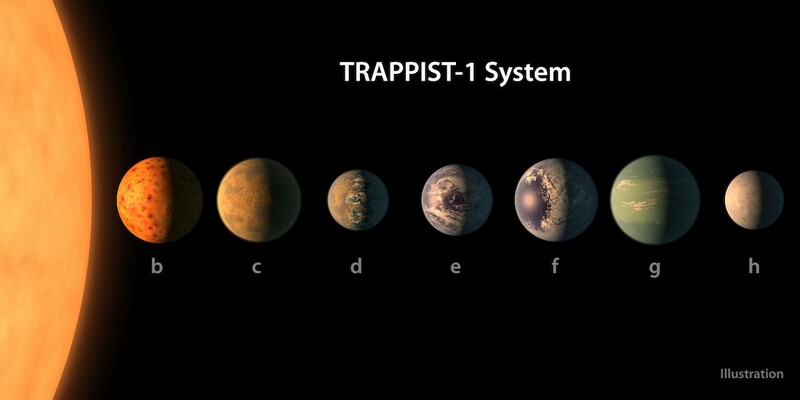 TRAPPIST-1 is a target of this research since it may be habitable. Jon Richards and Gerald Harp of the SETI Institute worked with Graham Mackintosh and others to explore the possibilities. "If it passes, it would definitely be a sea-change in Congressional attitude since Sen. [Richard] Bryan terminated NASA's SETI program, the High Resolution Microwave Survey, in 1993," renowned astronomer Jill Tarter, former director of the SETI Institute, told Live Science in an email. "By smoothing out the funding roller coaster that has characterized this research field from the beginning, it will be possible to attract the best and brightest minds with the best ideas from everywhere, and commit to the long-term search efforts that might be required for success." Are alien greetings just around the corner? Tarter said we have the technology now to search for more distant and fainter signals in ways we haven't tried before. "But that doesn't guarantee success in the 'near future.' The cosmos is vast, and we may not yet be looking in the right way, although we are doing the best job possible with what we now know." You can read more about the SETI Institute’s history and current projects on our ‘About Us’ page. Newsweek: Search for Aliens: Is Congress About to Start Funding New Nasa Research? High Rock Tower and Observatory in Massachusetts hosted a Star Party on May 18th for Girl Scouts in grades K-5, the Science Examiner reports. The event was created in partnership between the Girl Scouts of the USA, the SETI Institute, and NASA, and is part of a broader effort to engage girls in STEM learning and careers. This project, “Reaching for the Stars: NASA Science for Girl Scouts”, also helped to provide “Eclipse Boxes” featuring activities for girls to participate in surrounding 2017’s Great American Eclipse. You can learn more about the SETI Institute’s “Reaching for the Stars” program on our website, SETI.org. A press release recently announced the upcoming International Space Development Conference will feature several speakers from the science fiction community, as well as an array of renowned scientists, engineers, and space entrepreneurs. Among the honored speakers will be Frank Drake, Chair Emeritus of the SETI Institute Board of Trustees. Drake will present a keynote address titled, "SETI - Where Do We Go From Here?" at the 2018 ISDC, which will take place in Los Angeles on May 24-27. EIN Presswire: Stars of Science Fiction Are Coming to ISDC 2018! Last week’s episode sought the virtuous in virtual reality with We Are VR. This week, discover the microorganisms that call YOU home, in You Are Exposed. Last week’s Facebook Live featured the SETI Institute’s senior astronomer and host of the Big Picture Science radio show and podcast, along with Executive Producer and co-host Molly Bentley. Listen in as Seth and Molly discuss the show and the big questions they take on every week. This week, SETI Institute senior research scientist Franck Marchis introduced us to Dr. Alan Stern, principle investigator of the New Horizons mission to Pluto, and astrobiologist Dr. David Grinspoon. Watch an engaging conversation on the New Horizons mission and their new book, Chasing New Horizons.